If you’re hoping to buy a house this spring, you might want to hop to it. 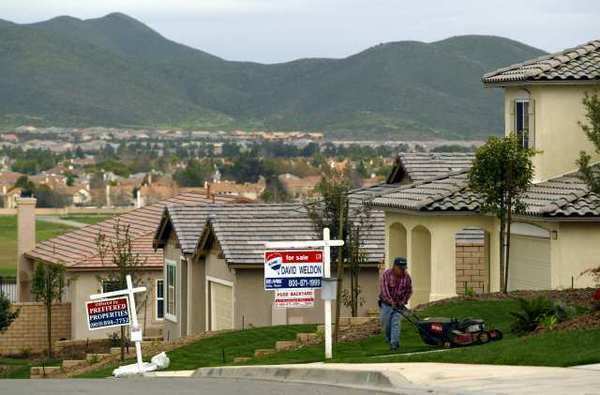 Southern California is home to four of the nation’s nine fastest-moving housing markets right now, according to a new report out Wednesday. And the pace is picking up. Real estate listings website Trulia crunched the numbers on how long home listings are staying on their site and found that only 43% of houses that were on the market in Los Angeles County in February were still up for sale in April. That’s the eighth-quickest pace in the country, and significantly faster than the 60% figure nationwide. The fastest-moving market was San Francisco, where only 26% of listings last two months. In Orange County, the number was 41%, and eight of the top 10 were in California. The reason, said Trulia housing economist Ralph McLaughlin, is classic supply and demand. And it’s getting faster. Three-fourths of the nation’s 100 biggest housing markets had fewer homes listed for two months than they did a year ago, according to Trulia. Higher-priced markets, and markets that have seen faster price appreciation, have generally accelerated more quickly, McLaughlin said. And in a pricey, growing, market like Southern California, that means buyers have to move swiftly to close a deal. “California’s going fast, just like usual,” McLaughlin said.